It’s a No Bake Valentine Day! My Valentine Treats are perfect to take to school parties, make for your kids, and share with those you love. Hugs and kisses to all! I was soooo not in the mood to make more Valentine Treats for my daughter to take to school on Tuesday. I’ve been taking the treats that I have been posing here and delivering them to her class for after school snacks. She has been enjoying Valentine treats for the past two weeks and I feel so pressured to come up with the most fantastic party treats to take in. I don’t work well under pressure! So, when a friend asked me to make some cake pops for her son to take to class, I figured I would jump on that train and make some for my daughter. So I baked and cake and got to work. For the season, I had to go with red and white and throw in A LOT of heats and sprinkles. I used a heart paper punch and the Wilton Sugar sheets to make the hearts. I also wanted to add some variety, so I made a handful of chocolate covered pops and decorated them with pink, blue and orange jewel tone sprinkles. The Wilton Sugar Sheets are very easy to work with. I buy a paper punch and reserve it for food use only. I also found some Strawberry Marshmallows that were perfect for Valentine’s Day! Come on! They are PINK! How perfect is that?? And, because some people prefer sweet and salty, I made a few candy covered pretzel sticks. These treats are all so easy to make. You just need the supplies to get going. Insert the lollipop stick into the marshmallow and dip into the melted candy coating. Allow any excess to drip off, then add your sprinkles. Allow to dry standing up. Melt your candy coating as directed and pour into a deep (tall) coffee mug or plastic cup. (Another great use for your Blue Dixie Cup!) Dip the Pretzel Rod about 1/2 to 3/4 of the way into the melted candy coating. Allow the excess to drip off and then lay flat on wax paper. Decorate with Sprinkles! If you are unsure about melting candy coating, see this entry. If you would like to learn more about making cake pops, watch my YouTube videos, and see this entry. SO fun!! I love these 🙂 I'm visiting from the Mrs. Happy Homemaker link up and now I'm following. Your blog is so great! These are so cute! Perfect for the day. I never use the sugar sheets – but I might try. The hearts look great. Oh my goodness! These are just stunning!! I'd SO love it too if you could share at my linky party! Destination: Inspiration at Teagan's Travels. I'm a new follower and as we have an Irishman in our house I am keen to see if you've got some Paddy's Day goodies up your sleeve in a few weeks!! Thanks so much! Just linked up! These are SO cute! Thanks for linking up this week! 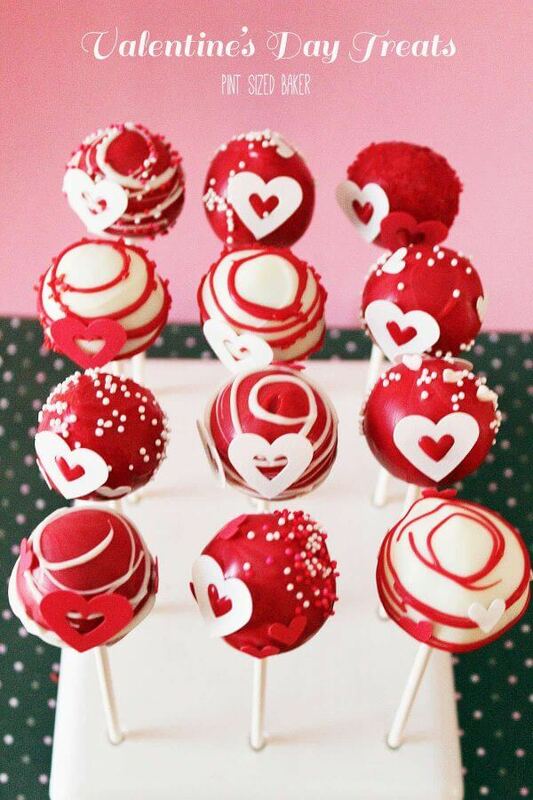 I wish I could make cake pops pretty like YOU did…mine are usually cake blops! I appreicate you linking up at Tea Party Tuesday, hope to see you back this week for a fun giveaway! Take Care. Congrats! These are being featured tomorrow 2/22 at Mrs Foxs Sweet Party 🙂 I hope you will stop by again! Pretty, pretty, pretty! I'm putting Wilton sugar sheets on my list of baking goodies to try! Hi! 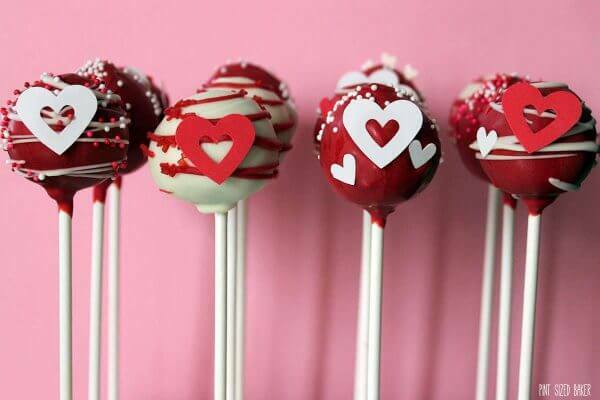 I love these cake pops and included them in a Valentine's Day roundup on my blog today. I know my readers will love these! You have presented beautiful and tasty looking treats. Im sure to try them. I just hope mine are as pretty as yours. 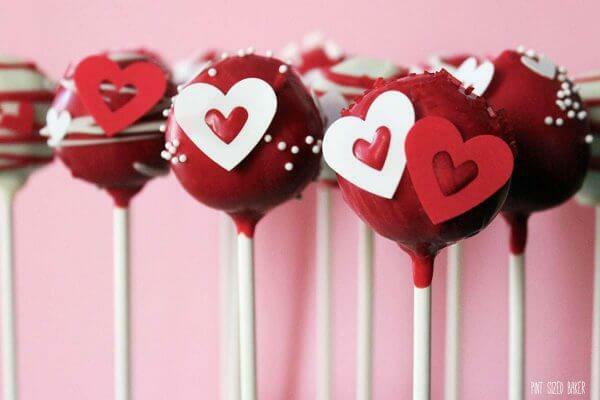 I've found your post here http://www.tipjunkie.com/featured/valentines-day-cake-pops/ and I pinned on my board…thank you for sharing with us this wonderful things! DanielaC (from Italy, now your follower too).